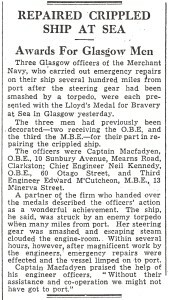 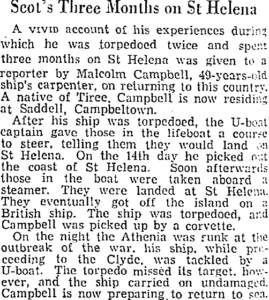 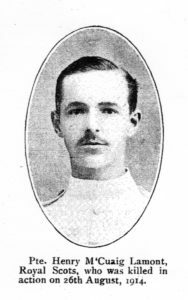 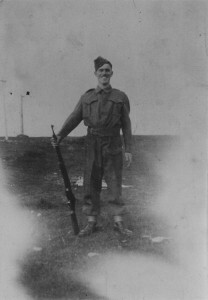 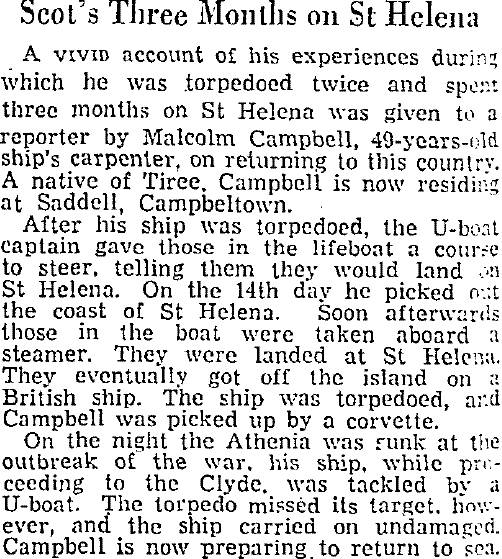 Photograph of a newspaper cutting about Malcolm Campbell, Tiree, who was stranded on the remote island of St Helena in the south Atlantic Ocean, after his ship was torpedoed in WWII. 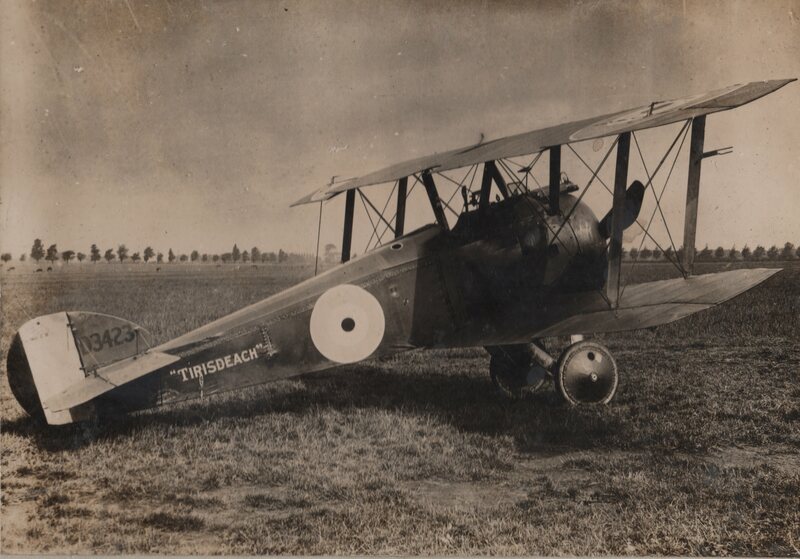 Black & white photograph of a bi-plane named the ‘Tirisdeach’, which was funded by the “war savings of the natives of Tiree” during WWI. 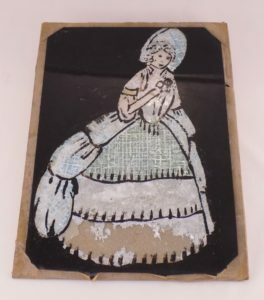 Found in Mannal House, the former home of Margaret (Meeta) MacDonald. 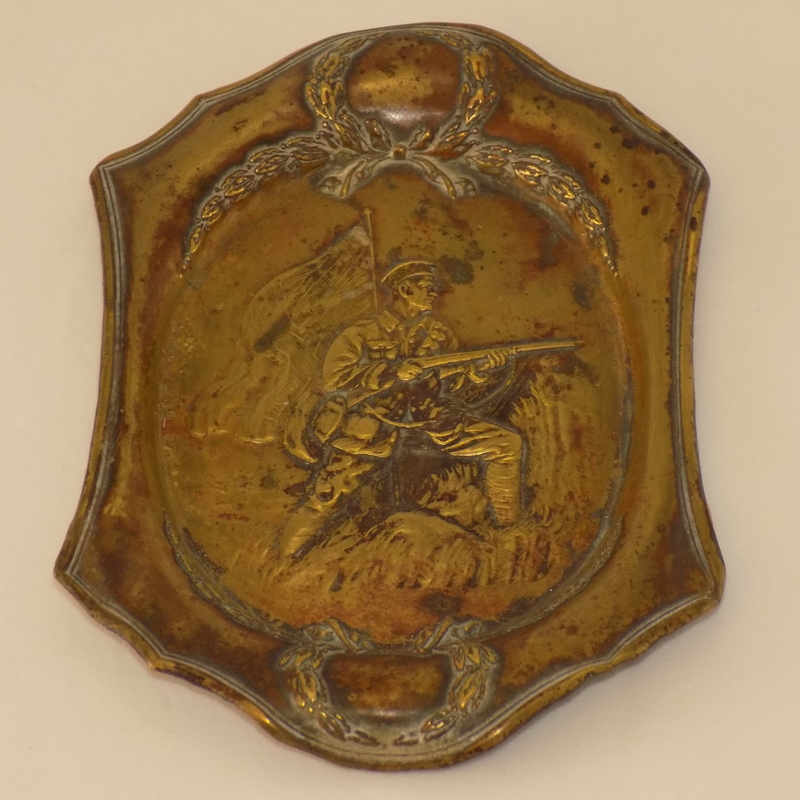 Decorative brass tray/dish commemorating WWI and depicting a uniformed soldier in action. 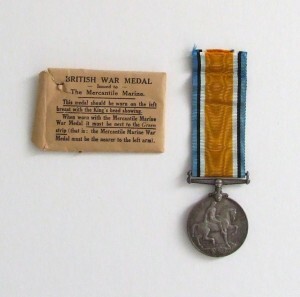 Found in Mannal House, former home of Margaret (Meeta) MacDonald. 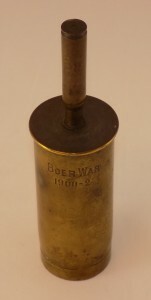 Hand bell made from the brass casing of two artillery shells commemorating the Boer War 1900-1902. 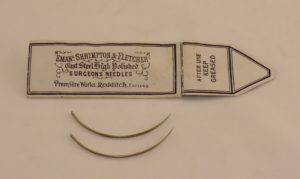 Found in Mannal House, the former home of Margaret (Meeta) MacDonald.